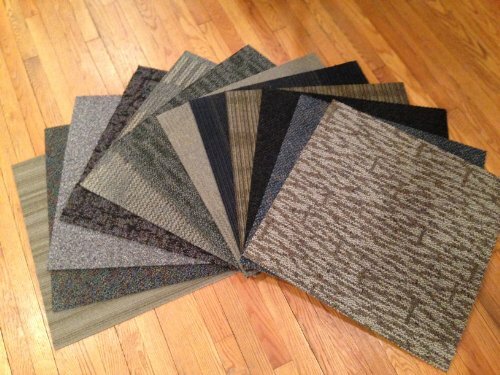 When you are purchasing new carpet tiles for your home, business, or recreational area, it can be difficult to compare one product to another. 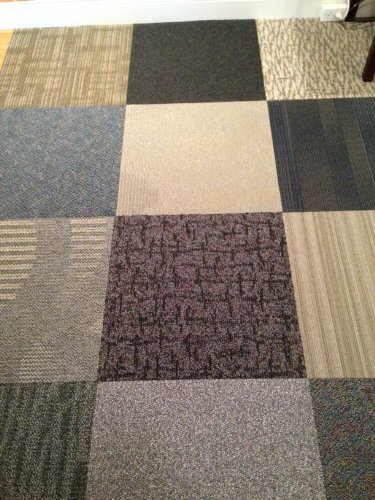 Unfortunately, there is a significant difference between carpet tile quality, performance, durability, and aesthetics. Follow this complete review and comparison guide on five popular carpet tile choices on the market today. 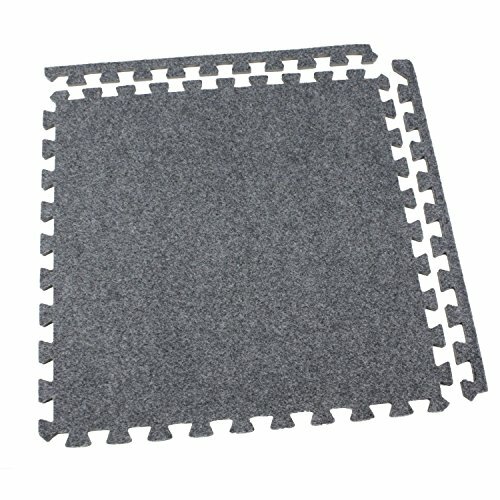 These Self-Adhesive Carpet Tiles by Genesis Home Collection are one of the quickest and easiest ways to upgrade your space in a modern alternative to old-school carpeting techniques. This product is not only easy to install, but it's also a beautiful finish! 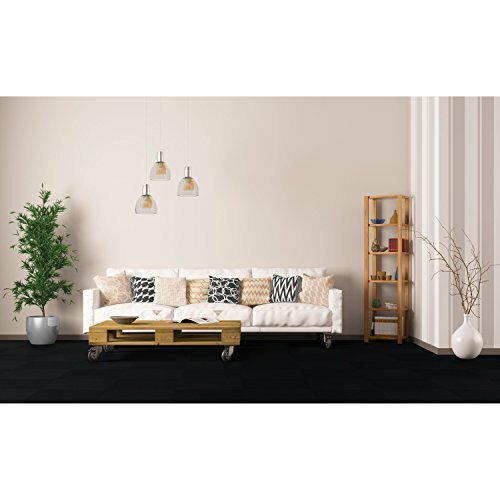 These self-adhesive carpet tiles come in four convenient polyester colors, jet, navy, smoke, and tan, ideal for home, basement, office, and garage flooring. Each square is 12" by 12" with a 3.5mm thickness and 500g/M2 (square meter) carpet density. With a do-it-yourself adhesive vinyl backing, this product is easy to secure and remove when needed. Each square is moisture, mold, mildew, stain, and fade resistant for long-lasting use. I love that this product requires absolutely no professional expertise. Simply, peel and stick! The sticky stuff is strong, so it's important to get it right the first try. You won't have to worry about any slipping or sliding. Plus, it's moisture resistant, so it is safe for use in potentially damp areas. The carpet is a little on the thinner side. When you remove the carpet tile it does leave an adhesive underneath that is a pain to remove. It’s a bit pricey and doesn’t have as many color options as we would have hoped. Are you a home or business owner who needs a portable carpet solution? 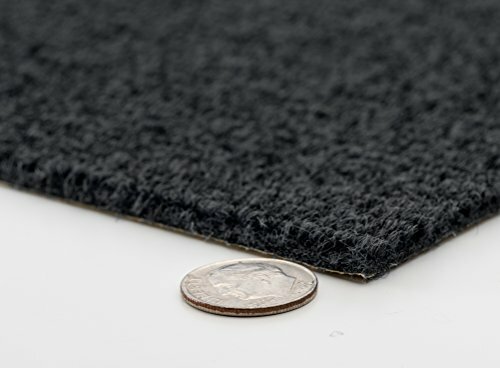 Then the low-cost Carpet Foam Tiles by the affordable Incstore brand just might be the right option for you! 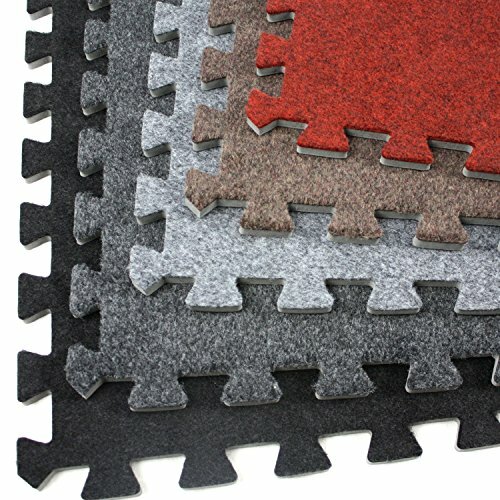 This economy interlocking soft carpet tiles by Incstore are an ideal choice for a portable and affordable carpet tile. They are easy-to-install, lightweight, and can be taken anywhere on the go. 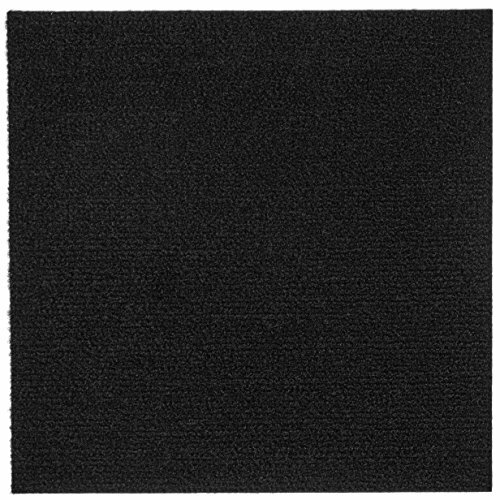 Explicitly designed for trade shows, this carpet tile is crafted from high-density EVA foam that is insulating, sound absorbing, and waterproof. Every tile comes with a detachable border piece so that any tile can quickly become a corner, center, or border tile. I love that this product is actually less expensive than regular floor carpeting, which makes experimenting with this floor tile less of a risk. Although it was designed specifically for traveling trade shows, this brand works in some areas of the home as well. Plus, it’s very cushiony and insulating on concrete floors. Some of the colors within a batch were not an exact match to the description. Although this product is excellent for open floor areas, it may not be the best for placing furniture on top within the home. This product is only designed to last for a few trade shows and may not be recommended for long-term use. Zen by the Simply Seamless home product brand is another popular peel-and-stick carpeting solution. Soft, beautiful, and affordable, this brand knows what it means to create quality carpet on a budget. These Zen carpet squares by Simply Seamless are large, measuring 24” x 24”. The easy to use peel and stick design requires no professional flooring expertise, making it the ideal solution for any homeowner. Crafted from BCF permaclean polyester fiber (25 oz) and polyurethane cushion, these carpet tiles are comfortable and soft to the touch. Every tile comes with a five-year limited warranty quality guarantee. These adhesive squares are large, making them incredibly easy to install. They can easily be trimmed to different sizes and shapes if needed. For first time installers, the tiles conveniently come with arrows on the back. The solution is long-lasting with no visible peeling, movement, or lines. I actually loved this product's quality. The adhesive is designed to stick better over time with the natural pressure and movement of furniture, walking, etc. If the concrete is rough, you may need a little extra adhesive such as wood glue. 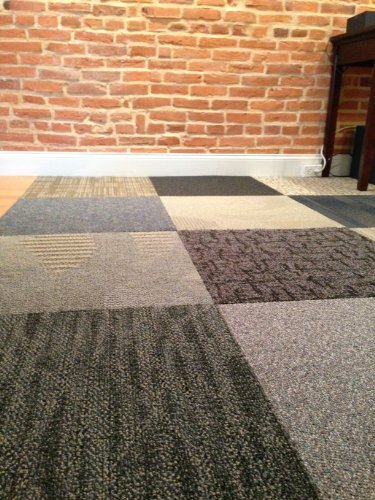 Assorted carpet tiles are the perfect aesthetic addition to basements, garages, schools, and other functional areas. 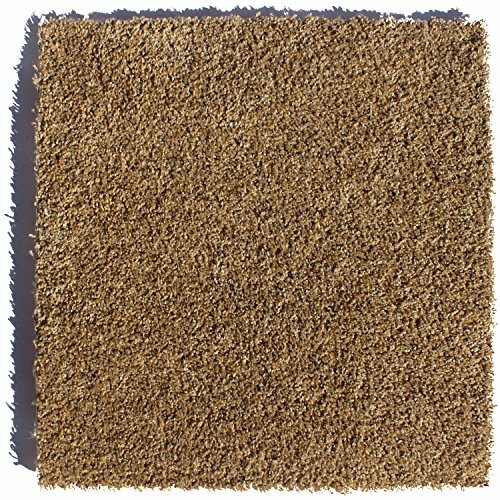 Upgrade your space today with sizeable mixed carpet tile by the luxurious Irvine Access brand. No matter what functional space you need to upgrade, Irvine Access Floors Assorted Carpet tiles have got your covered, literally. Just 12 of their easy-to-install commercial grade tiles cover an area of 48 square feet. The tight fiber and low height make these tiles easier to vacuum than traditional carpet. No two boxes are the same! This makes it simple to install in a creative pattern. Double-sided tape or adhesive is popularly used to keep these tiles in place. These assorted carpet tiles are a quick and easy way to make any room feel like home. I absolutely love the earth tones, large size, and durability, making it easier than ever to install. The product is easy to cut and fit to size. This product does not come with an adhesive; you must supply your own. While the product depicts earthy tones in the product sample, some users reported that the product that arrived contained a lot of unwanted rich blues. When you need a carpet that works just as well outdoors as it does indoors, turn to House, Home, and More for a beautiful and durable indoor/outdoor carpet solution. The carpet tile's polyester blend of fibers and rubber backing is resistant to mildew, mold, stains, and UV, making it the perfect flooring for the garage, basement, sunroom, deck, boat, and more. Ribbed texture and low pile height (1/4 inch) provide traction. Unbound edges do not fray and offer versatility. The product is easy to clean and can be trimmed to size. I love that this product can be used in outdoor areas as well as indoor spaces. It works great for garage, balconies, and patios. It's effortless to cut and size into unique spaces. This carpet tile is great for adding traction and style to otherwise slippery areas. This product is on the thinner side and not of high quality. Some users mentioned that their product did not come with the marine backing. In highly wet areas such as a boat, this carpet became extremely slippery and was not safe for passengers. Carpet is a textile oriented floor covering which consists of an upper layer called pile which is attached to a backing. The pile is very commonly made from woll or fibres like: polyester, polypropylene, nylon. They mostly contains twisted tuffs which are regularly heat-treated inorder to maintain the structure at different environmental situations. It is used to cover the flooring of an entire house. They are also used in industries and commercial establishments. 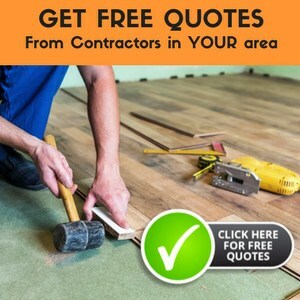 It is one of the most commonly used flooring types in homes and businesses. Its popularity comes and goes, but generally it’s a flooring option that’s here to stay. Even so, there are few other types of flooring that are better suited for a living room or bedroom. Carpet is popular because it provides softens the look and sounds in a room, it’s comfortable to bare feet — especially in the winter, and it’s affordable. You can select almost any color in the rainbow you can imagine or want. The variety of styles, though they come and go through time, range from shag to pile and Berber to clipped loop. You can select from carpet tiles, area rugs and wall-to-wall carpets. 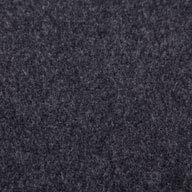 And the fibers used in making carpeting include nylon, wool, polypropylene, recycled plastics, and even silk. When purchasing carpeting, balance your preference, the room style and purpose, and budget. Because there are so many choices, virtually anyone can find something what they want. The largest disadvantage of the carpet is that is needs specialized cleaning. Regular vacuuming is important, but even then the occasional deep cleaning is needed. Be sure to ask about the best ways to clean and care for your carpets when you get new ones. Carpet cleaning can be done via steaming, shampooing or dry shampooing. Even among carpet specialists and cleaners there is a raging debate about what kind of cleaning is best for the carpet, and what frequency is generally needed. Don’t forget the animals, both two- and four-legged varieties, who live in the home; be careful about what chemicals you use so you don’t make anyone sick. You can hire a carpet cleaner, or you can do it yourself and purchase or rent a shampooer. If you have heavy traffic with kids or dogs, or live in a dusty area, doing your own carpet cleaning may make sense. Sometimes all your need is to freshen your carpet with ammonia or some other pick-me-up solution. The type of carpeting though, somewhat determines if this is a do-it-yourself project or if you need to call professionals to handle the carpeting cleaning. And I personally am cautious about solutions with ammonia, but each household is different in their concerns. What about carpet installation methods. For example, wall to wall carpeting covers an entire room. But, it can be laid in carpet tiles as well. In this method, a small area is laid at a time. Carpet tiles allow for easier replacement of sections as they are needed, like in traffic patterns where the carpet wears fastest. With either style of carpet installation you decide on, using area rugs can help preserve the carpeting you have installed. It is important to look for the right price on the carpet is well. You can often find a wide selection of colors, materials and affordable prices on the web. Shopping around can often lead you to a better price or even a better quality. When cheap carpeting is needed, check out carpet warehouses and discount centers. But, remember to purchase high quality carpet even if it means paying a little more. It will provide for a longer lifespan and will remain beautiful much longer. 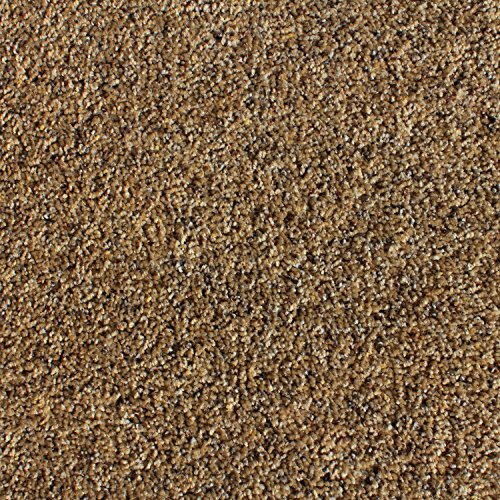 Carpet is an exceptional choice that is sure to remain around for a very long time. There are many offices and corporate industries which really want their flooring to be in a well planned and clean manner, so that it gives the clients a good idea over them. So carpeting really plays a vital role in establishing a good and classic look. It is also easy to extract, shift and install in various places where it is needed. Based on the roundup above, the clear winner is the Simply Seamless Zen Residential Carpet Tile! 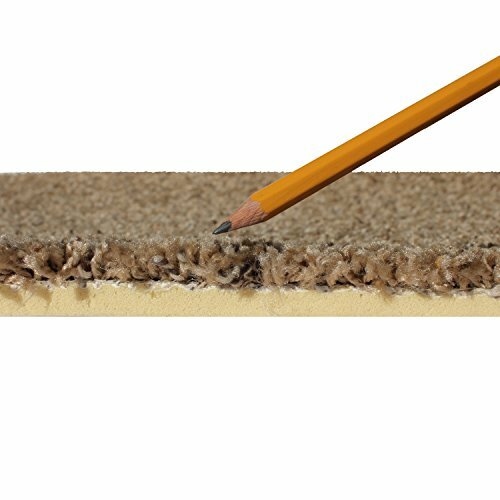 Not only is this carpet tile extremely affordable, but it is also incredibly easy to install. These large tile sizes make it the perfect option for any indoor space. Plus, it comes with an easy to use peel and stick backing. We absolutely love how comfortable, durable, and long-lasting this product really is!